Last week, Civil (a decentralized network promoting independent journalism) announced that it had failed to raise its minimum raise of $8 million during its ICO and that it would be issuing a refund to all investors. First, let me commend Civil (and their ICO launch partner, Token Foundry) for running a well-structured ICO process based off of standards including background checks for the sellers, an assessments test to filter for investors knowledgeable about the risks, and a strict adherence to securities laws. 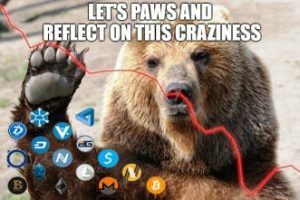 However, this shortcoming is a symptom of a broader trend in the crypto markets. 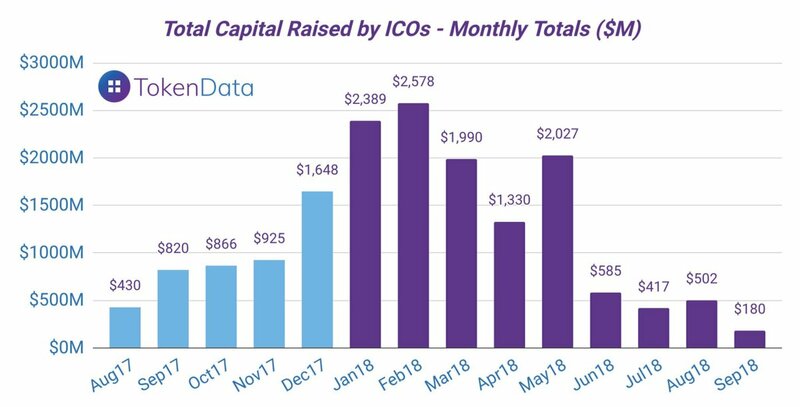 ICO funding is down significantly since its peak in Feb ’18. In the US, the SEC put its foot down on ICOs earlier this year when it issued subpoenas to 80+ blockchain firms in its effort to uncover fraudulent ICOs. This has effectively halted ICOs in the US to retail investors. For all intents and purposes, regulatory bodies are walking a tight rope of protecting investors and not hampering the pace of innovation. While this will be an ongoing area to watch, it’s encouraging to see the SEC devote more resources through the launch of the Strategic Hub for Innovation and Financial Technology (FinHub), which was announced last week. Founders have been able to raise millions off of a white paper (today’s version of idea on a napkin). This has led to teams with boatloads of money and a decreased incentive to follow through with executing on their plan (that is, if they ever intended to build out what they raised for). Additionally, projects selling tokens have by and large attracted investors looking to profit from a rise in price in the token (aka speculators), rather than individuals who actually intend on using the service. This has led to token economies that were dead on arrival. Luckily, experimentation continues with innovative structures, such as Sia’s dual-token structure. We need more of this. With misaligned incentives driving the boom and bust cycle, it should follow that investors are learning their lesson. The excesses of 2017 and the first half of this year, coupled with perverse early-investor incentives built into pre-ICO structures, left plenty of retail investors holding the bag at the end of the shitcoin waterfall. With the market cap of tokens down ~75% since its peak in January, there is undoubtedly much less money to throw around. With less money, investors have had less to commit to open ICO sales. When crypto prices rise at wild rates without a similar uptick in usage, a sharp drop is usually around the corner. The bar is higher than ever for projects to justify launching a native token. As best practices continue to form and the industry continues to mature, I expect more rigor and discipline to emerge by teams who realize that operating fairly and transparently gives them the best chance to succeed. While ICOs as we have known them are dead, new fundraising norms will emerge that lay the strongest foundation for founders’ success.